In recent years, companies around the world have faced a number of difficulties in their operations, such as the rising price of petroleum, the shortage of energy, the Eurozone debt crisis, increasing labour costs, environmental pollution, etc. Apart from having a well-planned business strategy, a crucial factor in successfully tackling these problems is the quality of a company’s work team. Last year, Adsale organized an in-house staff training programme entitled “Managing and Leading Changes”, which was aimed at encouraging staff to respond to these changes with a positive mind and to regard each change as an opportunity for further development, to cultivate borderless support as a corporate culture, to strengthen team spirit among staff members, to share experience with others and to enrich their market knowledge. 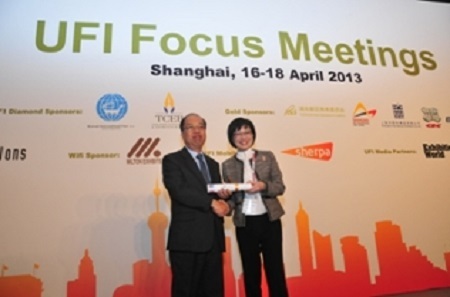 In an effort to express the importance of staff training, Adsale submitted this training programme to the 2013 UFI Education Award competition organized by the Global Association of the Exhibition Industry (UFI) and finally won the award. He adds that Adsale stood out from several participants is largely due to the fact that the conference had a clearly defined objective and it addressed a defined target group. “The programme design was innovative and creative. It was successful in having increased participants’ knowledge of the industry and market, strengthened their confidence in overcoming challenges and cultivated team spirit through a series of diversified activities, such as reading, group discussions, interactive games, sharing of China and the industry’s updates, etc. The most important outcome is that with the active participation of managerial staff from different departments, some major changes in the exhibition industry in the upcoming three years have been identified; these include changes in Chinese government industry policies, the China and international market environment, exhibitors’ high expectations on return on investment, visitors’ interest in new technology, innovation and brand development, a higher proportion of Generation Y in the company, increasing popularity of online and mobile devices, and more and severe competition. To cope with these changes, participants at the conference laid out their corresponding action plans and devised short-term and long-term strategies so as to maintain the sustainability of our competitive edge.”CHINAPLAS 2013, which is going to stage its 27th edition from May 20-23, 2013 at the China Import and Export Pazhou Complex, Guangzhou, PR China, will demonstrate how the Adsale team has managed the change with a positive attitude and created another record high for the show in such a difficult economic situation. Adsale Group was established in 1978 in Hong Kong. It is an international trade media group in the Asia-Pacific region. 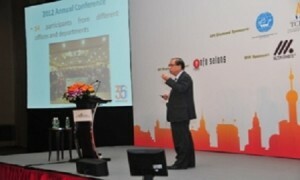 Members of the Group include Adsale Exhibition Services Ltd – the pioneer and leading international trade fair organizer in China, Adsale Publishing Limited – publisher of international trade journals and Adsale Online – a multimedia providing virtual exhibitions, e-publications and e-marketing services. Adsale’s branch offices are located at Beijing, Shanghai, Shenzhen and Singapore with a total staffing over 200. Moreover, Adsale has an agency network covering near 30 countries and regions. Adsale’s business covers a wide range of industries, including textile and garment, plastics and rubber, energy and power, telecommunications, printing and label, packaging, woodworking and furniture, automobile, lighting, boiler technology, shoes and shoe technology, etc.To further establish Adsale’s commitment to quality management in her delivery of services to customers, Adsale Exhibition Services Ltd has joined the ISO program for over 10 years (2000-2011) and has become a member of UFI from 2006, with some of her exhibitions being certified as “UFI Approved Events”, such as CHINAPLAS, EP China, EP Shanghai, etc., demonstrating Adsale’s professional project management and her dedication to the provision of quality exhibiting and visiting services.